vh Chances Are+ was a purebred Arabian gelding by the double *Salon son, Ponomarev, out of the *Marsianin daughter, zf Peacock. Bred by KEG Arabians and born 3/25/88. I acquired this wonderful boy "by chance" at a bankruptcy auction for $275. Lucky me! Chance was a spirited and atheletic horse with the kindest people loving personality. He was always the barn favorite with his vocal calls and silly antics. He taught me so much. His show record includes an IAHA regional top 5 in hunt seat and Reserve Championship in Training level dressage, AHSA top 7, IAHA Legion of Honor, USDF Performance certified for Training level, 2 scores short of a USDF Performance certification for First Level, Qualifications for ABIC/SWDC Championships, SEDA awards, and many nice wins in open dressage competition. When we retired from competitive dressage Chance was scoring in the 60's at 2nd level. Still in super shape, he competed successfully at 4th level on his 18th birthday. In semi-retirement, he had a short stint with a local junior rider who took him to regionals and earned a nice placement amidst some very touch competition and only after a short time working with Chance. The horse just loved to please and never had a quarrelsome day. Chance did his share of Leadline classes with my nephew Chuck and loved the camera. 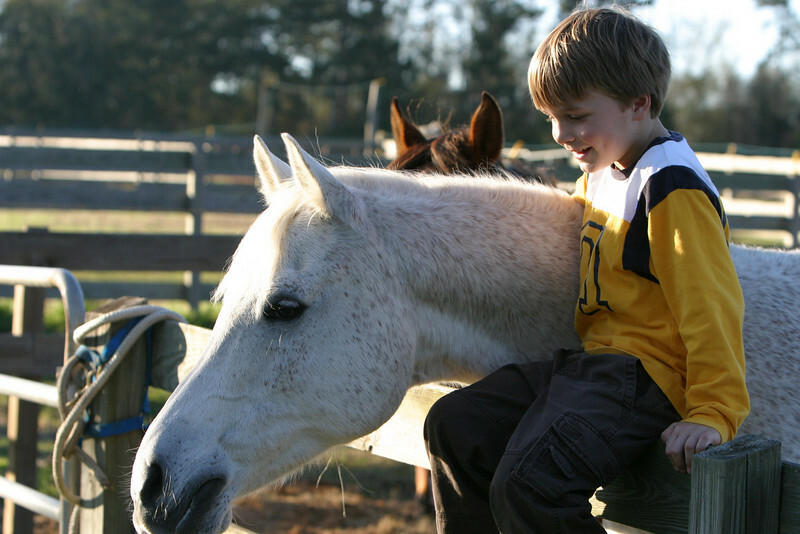 He was featured in the Southdown's Journal, AHSA's "Dover Adult Amateur" column, The LSU School of Veterinary Medicine, and IAHA's "International Arabian." I retired Chance to the peaceful Henley Arabian Farm in Folsom, Louisiana where he graced the pastures unbraided, unstabled, and unfettered by silly show worries. He had a wonderful life and was the picture of health until at 25 1/2 he was diagnosed with carcinoginic melanoma. On 9/16/2013 he chose not to rise and was humanely let go. Chance was a once-in-a-lifetime horse and I feel so very fortunate to have had this sweet grey boy in my life. Ah, the stories we shared. Goodnight sweet Chancer.